Let us help you choose the tank that is right for your Sodastream! 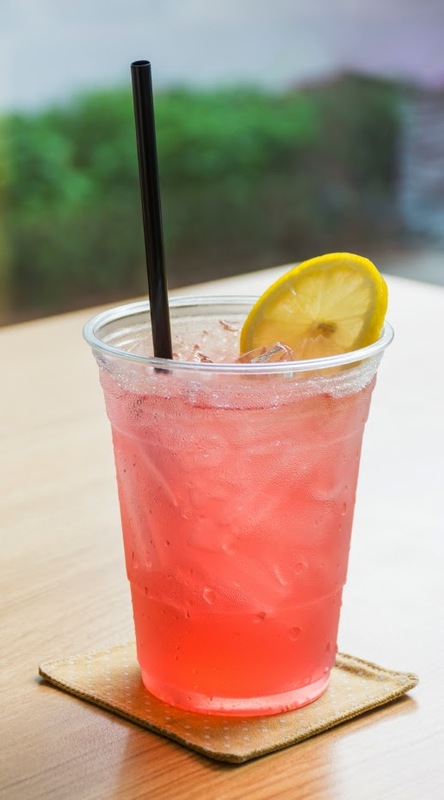 The inspiration for this Sodastream Strawberry Lemon-Lime soda recipe comes from our love of Shirley Temples and strawberry lemonade. Hope you enjoy! Enjoy this recipe? We’d love to hear what you think! Find our Sodastream Genesis review helpful? Let us know via social media or comment! As with all SodaStream models, the Genesis offers a handful of benefits over purchasing cans or bottles of soda from the store. You can see those at the bottom of this post. Today we’re going to cover the unique features of the Genesis vs. other models of SodaStream, followed by a brief overview of how DIY soda beats store-bought. The SodaStream Genesis’s MSRP is listed as $130, though you can typically find them for $89-99 online. The Genesis features a sleek and slim body with an inset top-front button for carbonating your beverages. Like most SodaStreams, the Genesis doesn’t require electricity. The no-cord design makes it an ideal appliance with minimal space requirements. To change the CO2 tank, the entire top comes off, allowing direct access to the tank input nozzle. This contrasts with other models that have an opening in the back with a swiveling nozzle that can make exchanging the tanks a bit of a hassle. That’s not an issue with the Genesis, for which tank exchange couldn’t be simpler. The only downside of its tank setup is the smaller size tank: while some models accept a 33 oz. tank, the Genesis takes the smaller 14.5 oz. tanks. This won’t be an issue, however, if you keep spare tanks around. This unit utilizes SodaStream’s 1 liter soda bottles and can also accept their smaller ½ liter versions. It features a plastic chassis, unlike some of the nickel plated models, but this is a tradeoff for having a lightweight body that’s easy to take with you on a trip outdoors, plus it makes the machine more affordable. This model is on the lower end of the Sodastream price spectrum, which ranges from $80 to $200. The Genesis price comes in $10 above the cheapest model, the Fountain Jet, and at the same price as the Play. It is more popular than the Play, with a longer warranty and sleeker and more attractive body; the advantage of the Play, however, is the ability to use the larger 33 oz. CO2 tank. The Genesis comes with a 10 year warranty, beat only by the slightly pricier Source models, which carry lifetime warranties. Compare this to a 3 year warranty on the Play and 2 year warranty on the Play. Overall, the Genesis is a great model that’s easy to use and built to last. It’s lightweight and on the lower end price-wise, so it can be a model you take with you on the go to barbecues and more. Despite being cheaper than some Sodastream models, the Genesis features top-notch quality and an attractive design, perfect for your first Sodastream model or an addition to your collection. If you enjoyed our Sodastream Genesis soda maker review, let us know! All Sodastreams offer advantages versus buying soda and soda water by the can or bottle. They’re more environmentally friendly, saving tons of plastic and aluminum from landfills. Or saving the energy it takes to recycle them. And you control what goes in the water: filtered instead of tap, bought or homemade flavors & carbonation level. And of course, no one can forget the cost savings. While new Sodastream owners are excited at the savings they’ll make, we can ensure those savings are greater! The SodaMod CO2 adapter for Sodastreams lets you use medical-grade paintball tanks, instead of the proprietary CO2 tanks. Best of all, you can refill them locally for cheap. Buy a SodaMod today and start saving even more!